Craft beer has always been a passion of mine, so much so, that I dedicated my professional career to the industry. As an early proponent of craft beer, I organized one of the first independent, statewide craft alliances in the nation. I’m proud to have worked with many brewers, importers, and suppliers throughout the last three decades. 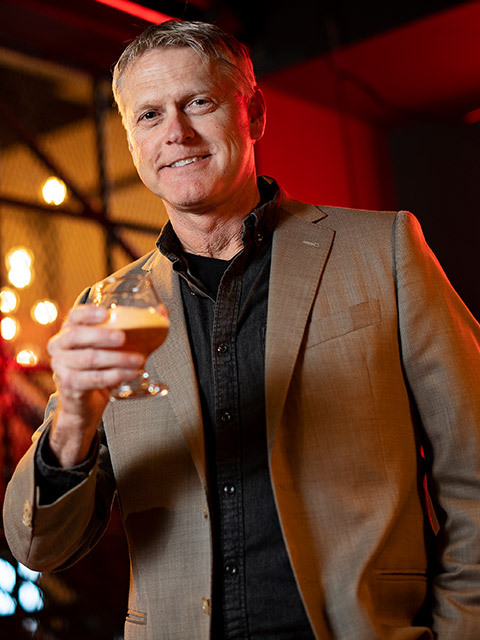 After years of working through obstacles as a distributor and listening to brewers needs, my business partner, Trip Kloser, and I identified two major opportunities. First, distributors should have the ability to control their SKU’s with a rotation of select brands. Second, brewers should have wider market access throughout the U.S. We designed Brew Pipeline to tackle these challenges and provide the right brands, at the right time, to retailers across the country. Our cutting-edge Guest Brewer program gives brewers the freedom to do what they do best; focus on brewing, while we handle the logistics. We provide our distributor partners with exclusive opportunities to stock world-class brands from around the country for limited time offers. Armed with our effective sales and marketing materials, our programs are designed to produce maximum sell-thru rates for distributors and retailers. Our goal is to gain the trust of craft brewers and distributor’s alike and to work together to offer the best craft beers to as many people as possible. Brew Pipeline is a new and unique path to market, and we are ready to make a big change to the industry.